With the climate crisis already beginning to wreak havoc on coastal, low-lying areas of the globe, the livelihoods of millions have been jeopardized. However, the nations most at risk have had but a minuscule role in the emissions of greenhouse gases that warm the earth: Per the EPA, the United States, China, and the countries of the European Union accounted for more than half of the carbon emissions in 2014. Bangladesh, a low-lying, densely populated country between India and Myanmar, has emitted less than three percent of what the United States has emitted in the past few years, but its coastal communities face displacement as sea levels rise. Likewise, residents of Belize, a nation heavily dependent on its marine ecosystem, will have to find alternative ways to sustain themselves as rising ocean temperatures and sea levels damage the Belize Barrier Reef and the vast ecosystem that surrounds it. The geographical risk that climate change poses in the Netherlands can somewhat compare to the threats that grip many coastal countries; as polar ice caps melt, rising ocean waters will first encroach the territory of low-lying countries. But in Bangladesh, the problem is not that simple. According to Scientific American, Bangladesh is now more susceptible to not only rising sea levels but also to the increasing severity of storms. While carbon emissions are certainly the culprit for increasing storm severity, the loss of large swaths of mangroves, which typically shield Bangladesh from cyclones, will leave all coastal inhabitants of Bangladesh vulnerable. The synergy of these threats will cause monumental devastation on Bangladesh. In Bangladesh, climate change has manifested itself as a humanitarian crisis: hundreds of thousands of residents have already emigrated, and a prediction from Scientific American portends the displacement of more than 30 million. Forced to either crowd inland or leave the country, many Bangladeshis will be without a home. The situation in Bangladesh should strike shame and disgust into everyone: The EPA reported that 24% of carbon emissions came from human interaction with land, including agriculture and forestry. Surely, the global populace’s demand for mass quantities of meat and commercially grown crops has perpetuated the unsustainable use of land, which consequently causes global temperatures to rise. In particular, livestock pastures have been estimated to contribute to as much of 18% of carbon emissions. The vast majority of livestock pasture emissions originate from cows. According to the Environmental Research Service at the USDA, beef consumption in the United States has decreased since 2002, but in the same span, American beef exports have seen a net increase. And while the Food and Agriculture Organization projects that the worldwide consumption of meat will increase at a steady rate, consumption of bovine meat will stagnate, and poultry meat, which has a smaller impact on the environment, will surpass pig meat as the most consumed meat in the world. It should seem that the world’s ostensible abandonment of bovine meat will be the environment’s saving grace. Current projections show that the meat consumption trends of developing countries match those of the rest of the world–bovine meat has given way to poultry meat and pig meat–but Nigeria, one of the fastest growing countries in the world, is experiencing an increase in demand for beef. Statistics from the FAO reveal that developed countries consume more beef than developing countries, so an increasing demand for beef in Nigeria, a country with a rapidly growing economy and an emerging middle class, makes sense. Considering the trend in Nigeria, the world should expect that other countries with growing populations and economies will demand more beef. And although Nigeria plans to revamp its livestock sector to meet the needs of its populace, other fast-growing nations may not be able to do the same. 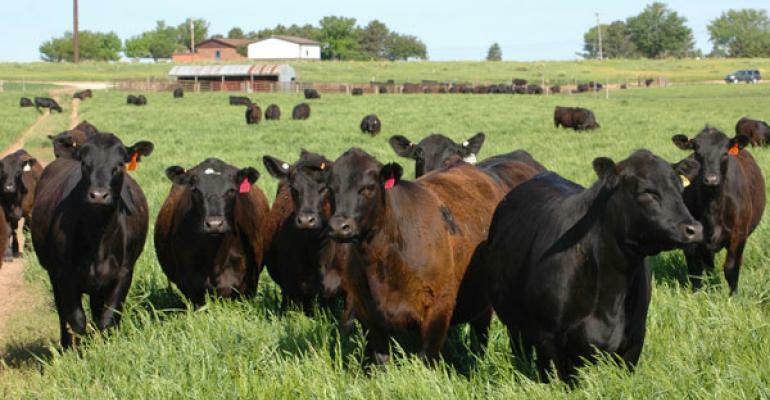 With industrializing countries’ demand for beef and the detrimental effects of cow pastures on the environment in mind, the United States’ increase in beef exports is troubling. Ensuring that the United States does not worsen the climate crisis by ramping up its beef production will require legislative and administrative action. And while average Americans will not be able to change global socioeconomic trends, they can modify their own beef consumption. The decline in beef consumption in the America since 2002 is promising, but the United States still contributes significantly to global carbon emissions, and livestock production remains culpable for a large portion of these emissions. If Americans decide to decrease the amount of beef they eat, they can speed up the reduction in beef consumption, lowering domestic demand for beef and ultimately decreasing national and global livestock production. In the midst of a severe climate crisis, civic duty is important now more than ever. Residents of developed countries must recognize the environmental scourge of massive beef consumption and seek sustainable alternatives. As Americans, we must be willing to alter our livelihoods or allow the livelihoods of millions to be destroyed.